In the restaurant Giggijoch you can order fresh cakes, yeast dumplings and strawberries at an altitude of 2,283 metres and an outside temperature of minus 12 degrees in the Ötztal Alps. 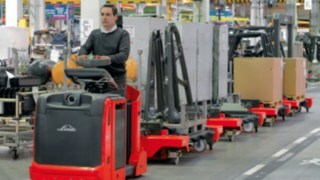 A logistical masterstroke made possible by a Linde Material Handling tugger train. 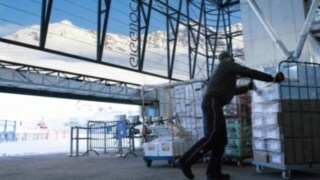 During the winter season on the Giggijoch in Sölden (Austria), around 4,000 guests are supplied with food and drinks every day. But how are around 2,000 kilos of fresh food brought up every day? 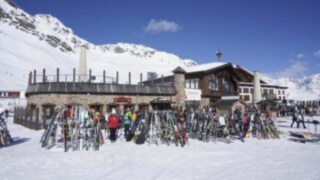 The secret: a 150-metre-long tunnel runs under the slope, connecting the mountain station with the Giggijoch mountain restaurant. 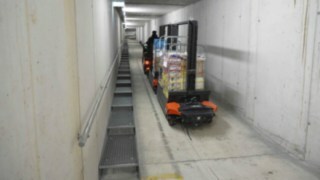 And in this tunnel, the Factory Train FT10 Compact from Linde Material Handling plays the leading role. Such tugger trains are otherwise only known from the industry with production and assembly lines. The great strength of the Linde tugger train is its extreme manoeuvrability - and it can prove this perfectly in the Sölden ski area. In the tunnel, gradients of up to 15 percent have to be mastered. In addition, there are several narrow passages: a real needle eye, once even in S-shape around the bend. And it is very narrow: between the train and the wall there is often only a handbreadth of space. 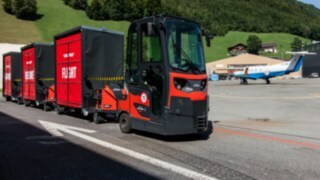 How can the Linde load train still manoeuvre its way through the tunnel with two trailers without toasting? Very simple: All trailers are steering as well! And thanks to neon yellow arrow markings on the walls, the driver knows exactly when to make which steering movement. 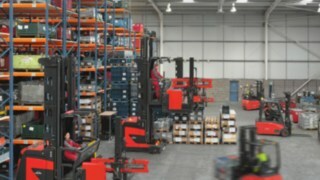 The solution offered by Linde Material Handling is perfect. The trailers are second to none. For Manuel Köll, the tugger train for the optimal supply of the guests on the mountain has become indispensable. The train has been in service since autumn 2016. Manuel Köll, Deputy Operations Manager at Bergbahnen Sölden, is very pleased: "We were looking for a vehicle that could cope with the conditions, the weight and above all the gradient," says Köll. 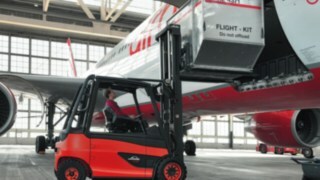 The solution from Linde Material Handling is perfect: "The trailers are unrivalled", says Köll: "We can load all goods from the truck into the gondola and onto the load train without having to change the goods carriers". 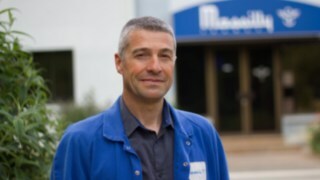 According to Köll, the planning with the Linde experts had already been exemplary. 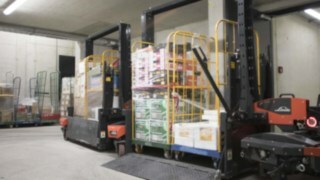 Linde even did a kind of "moose test" for the route train and rebuilt all bottlenecks with pallets for test purposes. 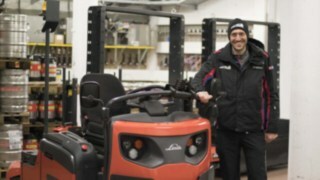 “The tugger train is the greatest thing since sliced bread,” says Sölden-based chef Robert Hanser. 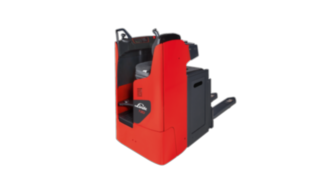 Which is incidentally available in Hanser’s Giggijoch restaurant, thanks to the Linde tugger train. 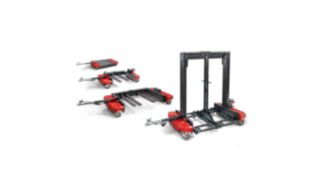 Linde's electric pallet stacker L14 - L16 R offer high operating comfort, optimum maneuverability and outstanding productivity. 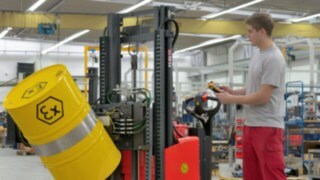 The electric pallet trucks T20-T25 R are quick and versatile for handling pallets. 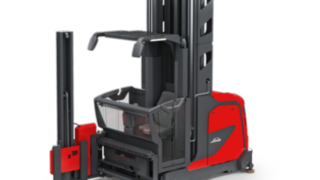 They enable the productive handling of loads also in confined spaces. 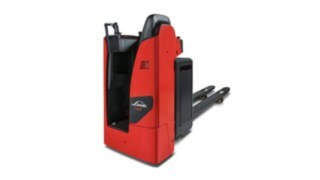 The T20 - T25 SR electric pallet trucks from Linde are extremely manoeuvrable and fast. 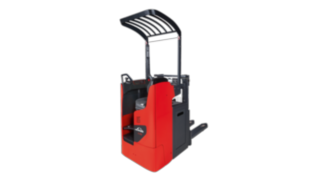 They enable productive handling of loads in confined spaces.